To be fair Zlatan did score almost 30 goals in about 53 games. Not a bad strike rate for a guy in his mid-30s. Only Kane and Aguero exceeded that. The mistake was to believe that a 36yo could come back from a career threatening cruciate ligament injury and be the same player. Hopefully Jose will beat City to delay the league title .Can he do it like Klopp did today? Man U players and the coach are LAZY. They can only beat City if Pep decide to field a C team They are just there to do fashion parade. He gave the ball way after that and scored an own goal. since SAF retired, we have not finished the season with 71 points. 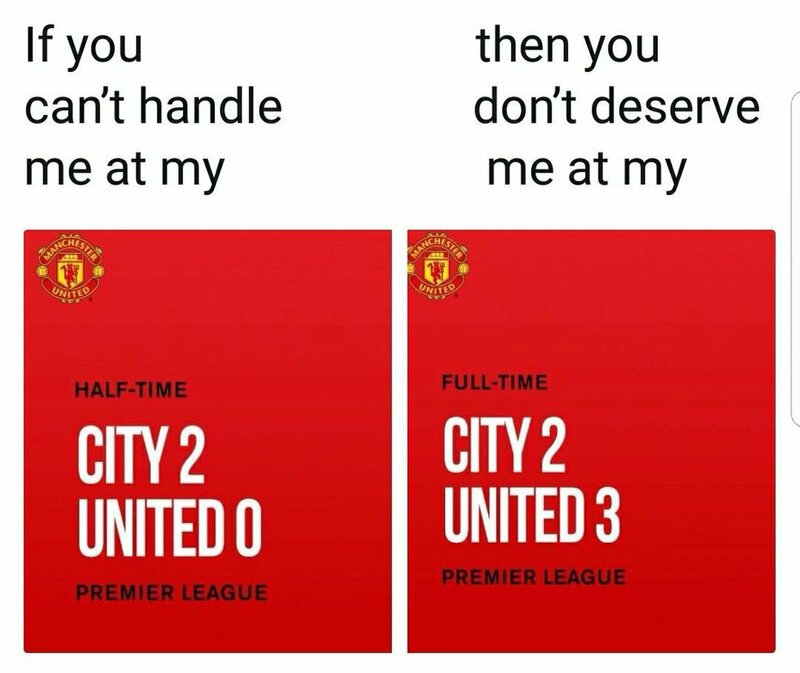 2017 EPL - City 2 v Utd 3 - City winning 2-0 at half-time, end up losing 2-3. WBA have lost only one of their last 6 games at Old Trafford. That was a tepid, limp, pathetic "performance" from Man Utd. They could not even raise their game after WBA scored. Non-prominent Zinedine ZePog nowhere near Team of the Year. As foretold. #ColourMeBad.